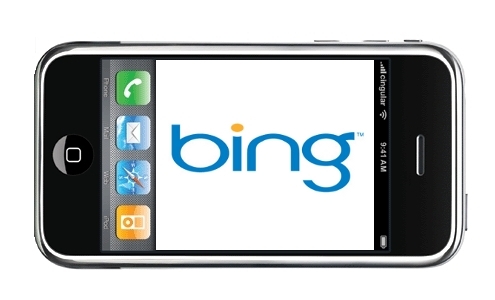 Bing to replace Google in iPhone? According to a report in Bussiness Week, Apple is talking with Microsoft to replace the default search engine in iPhones to Bing. As of now Google is the default search engine in iPhones and if users want to use Bing, they have to either download an app or go to www.bing.com. This new development reflects the growing rivalry between Apple and Google. Back when the iPhone was released in 2007, Google and Apple were in completely different domains and so Apple had no hesitation in having Google as the default search engine. Forward that three years to 2010; Google has launched its own phone Nexus One, which is a competitor to iPhone, and Apple is also said to be looking at mobile ad placements which is likely to ruffle some feathers in Google. It is also learnt that Microsoft is pushing for having Bing as the default search engine in Safari. Currently, safari users can choose either Yahoo! or Google as the default search.